Grace Cosachov Protos is the Executive Director for the Office of Work Life at New York University, where she is launching a department that will help NYU become an employer of choice. Her role will include creating supportive resources and programs for faculty and staff and being a strategic partner to advance policy changes that affect work and life for NYU employees. Prior to joining NYU she was the Regional Administrator for the U.S. Department of Labor, Women’s Bureau where she oversaw a large part of the country. In her role, she worked on programs, advocacy and research devoted exclusively to promoting the advancement of working women. Her focus included developing strong relationships with community-based organizations, federal, state and local government agencies and companies in order to work collaboratively on various initiatives related to women’s advancement in the labor force. As part of the management team, she was responsible for long and short-term planning of goals and the development of employees. Before joining the Women’s Bureau, she was a senior vice president at MacKenzie Partners, Inc., a corporate advisory services firm, where she worked on corporate mergers, acquisitions and stakeholder identification and communications for clients who were Fortune 500 companies. 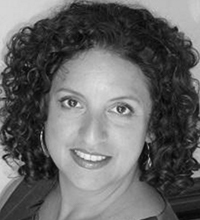 Ms. Protos has been an adjunct professor at Columbia University School of Social Work where she has taught graduate school courses on human resource management and board development. She has a Master’s degree in social work from Columbia University and lives in Brooklyn, NY, with her family.